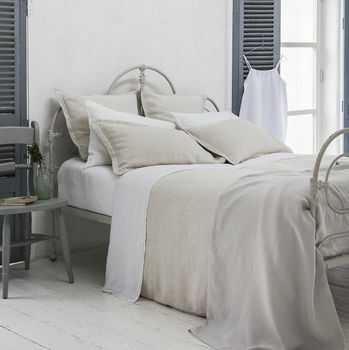 The beautifully relaxed look of our Picardie Ecru washed linen bedlinen is perfect for any style of bedroom. As seen in Living Etc. magazine. Our bedlinen sets in soft muted tones create a sense of relaxed luxury. Style your bed with Classic White, Cassis Rose, Dove Grey, Duck Egg, Parisian Blue, Charcoal or Picardie Ecru. 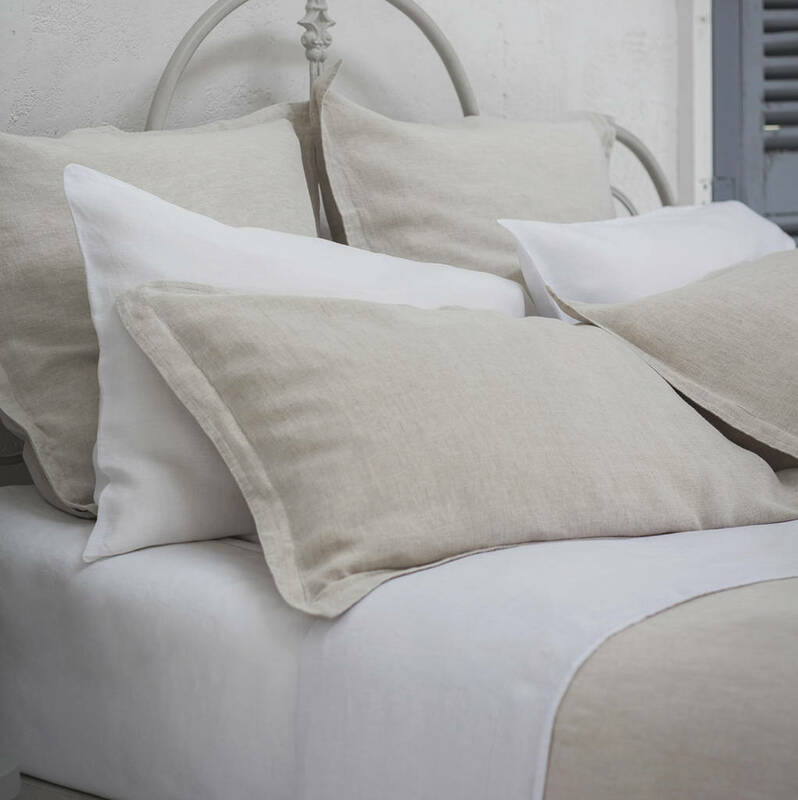 Our washed linen bedlinen sets create the blank canvas you need for your perfect bedroom sanctuary. Breathable like a second skin, linen can help to regulate your temperature so you can sleep easy. Linen is a wonderful natural fibre that absorbs moisture in the heat and retains body heat in the cold. Linen is also naturally hypoallergenic and anti-bacterial which is perfect for those with sensitive skin. Cotton sheets tend to break down after 3 years whereas linen gets even softer after 3 years! Unlike cotton that may yellow over time, linen remains white and gets softer with each wash. We pre-wash our linen so you get that extra softness straight away. Linen bedlinen make a fantastic wedding gift! The set includes two housewife pillowcases and one duvet cover. The Linen Works Bedlinen Sets are also available in our Classic White, Mirelle Rose, Dove Grey, Duck Egg, Parisian Blue and Charcoal. 100% Washed Linen in the EU. 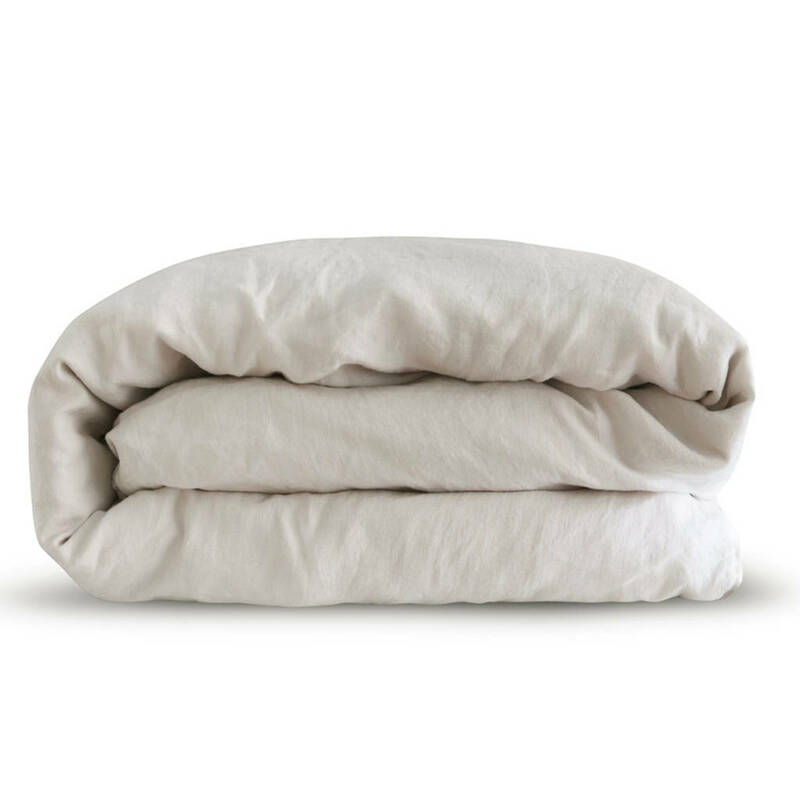 Pre-washed linen add that extra softness for a great night's sleep. Pillowcases have a simple envelope close. Duvets feature pretty mother of pearl buttons to close. Machine washable 40°C. Our pre-washed linen is especially easy to iron.